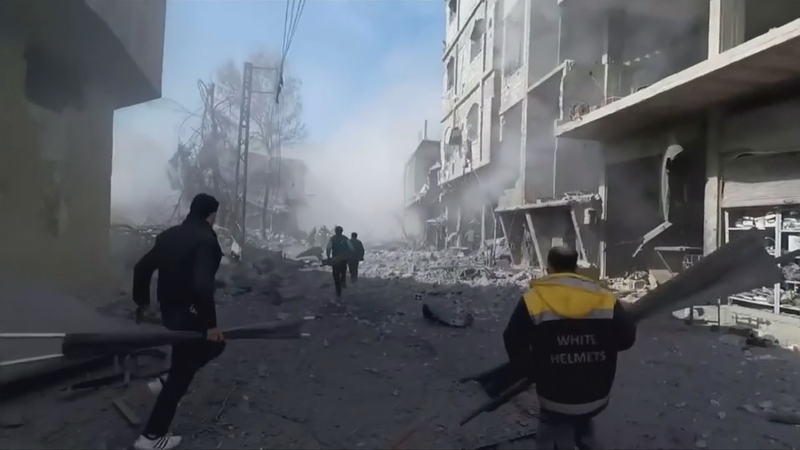 More than 120 people have been killed, including 20 children, in a wave of fresh attacks in East Damascus. Syrian forces have increased their relentless bombardment on the rebel-held Eastern Ghouta enclave, which is home to more than 400,000 civilians – as pro-government forces mass nearby for a possible ground assault. Russia’s foreign minister Sergey Lavrov said the conflict could only be resolved if all parties respected each other’s territories, while the United Nations called for an end to the attacks, warning it could become another Aleppo.